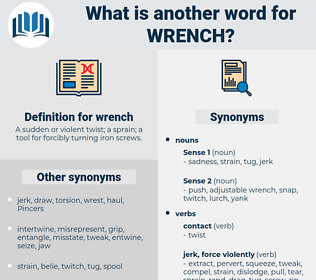 What is another word for wrench? 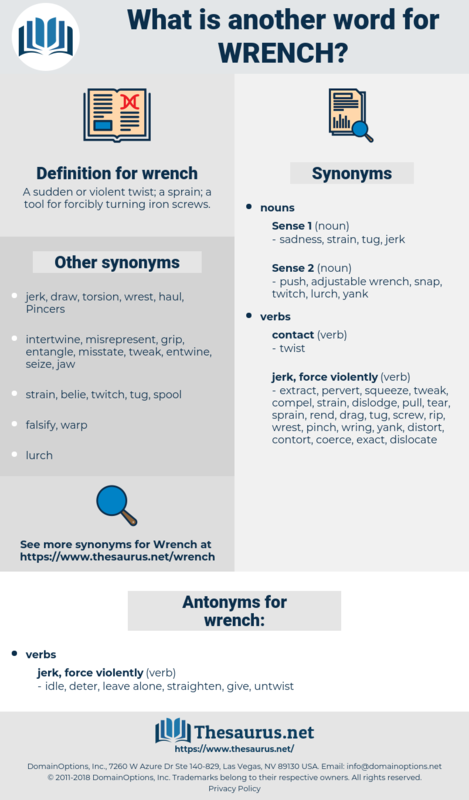 A sudden or violent twist; a sprain; a tool for forcibly turning iron screws. idle, deter, leave alone, straighten, give, untwist.
" Don't throw a monkey - wrench in the machinery," begged Hippy. The parting with Clark was a real heart wrench. worm, squirm, wrestle, wriggle, twist, writhe.